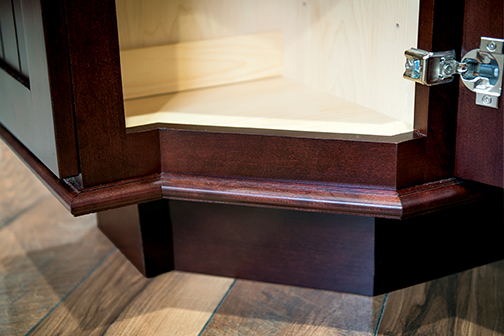 Cabinet Fillers are generally 3" or 6" wide, pieces of wood, finished to match your cabinetry. 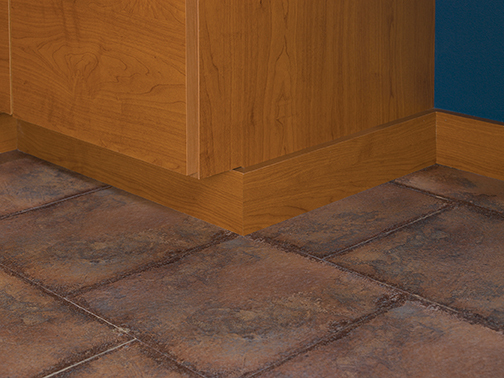 They are used to fill in gaps between cabinets and provide the allowance needed to open and close your kitchen cabinets doors and drawers. 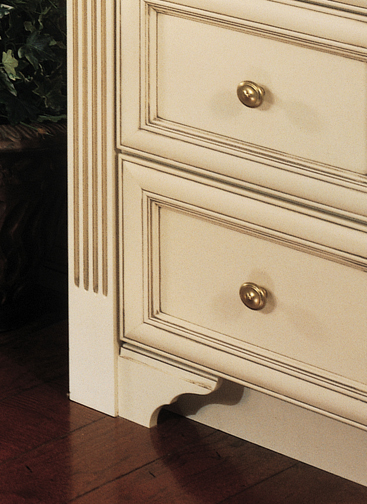 Filler, Fluted Fillers, Pilasters, and Fluted Pilasters can also be strictly for ornamental aesthetic purposes. 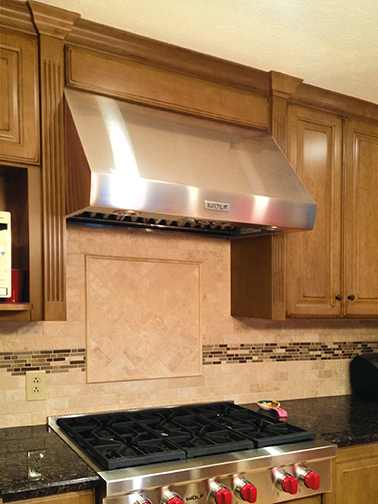 Use a fluted filler to subtlety dress up around your cooktop, sink, entertainment unit, vanity, linen cabinet, etc. 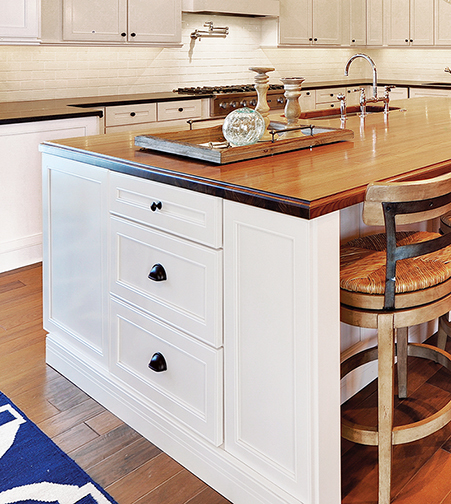 Want to bring extra attention to your cook top? 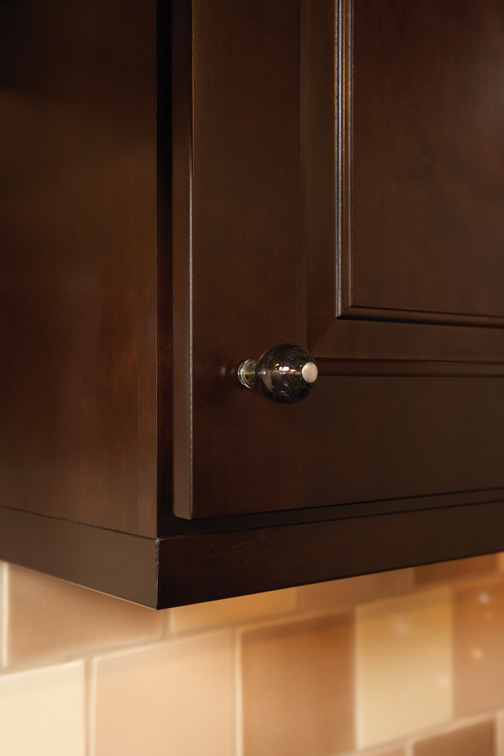 Bump out the cabinet your cooktop is on and use Angled Fluted Base Pilasters to bring the two depths together. 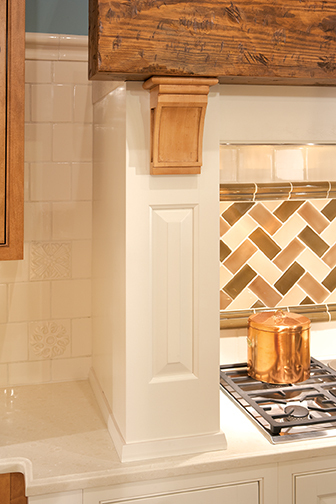 Use a filler as part of your stacked moulding, or perhaps a backsplash behind your sink. 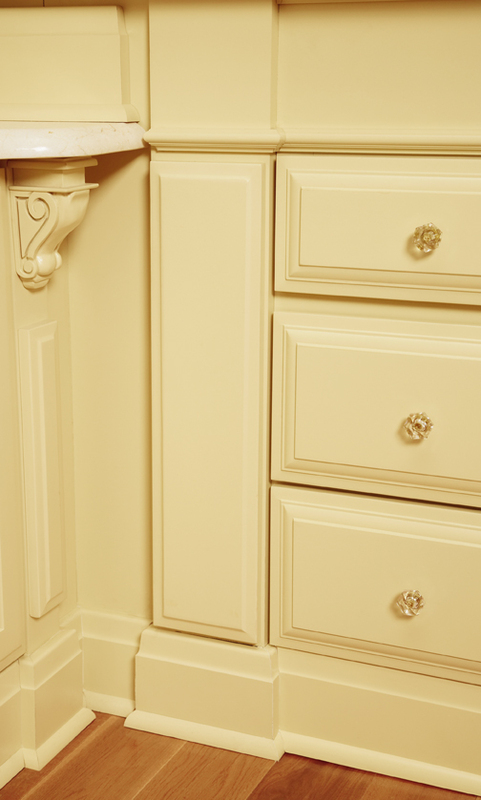 Add Rosettes or Onlays to fillers, or perhaps have your family crest carved and applied to some of the fillers used in your kitchen. 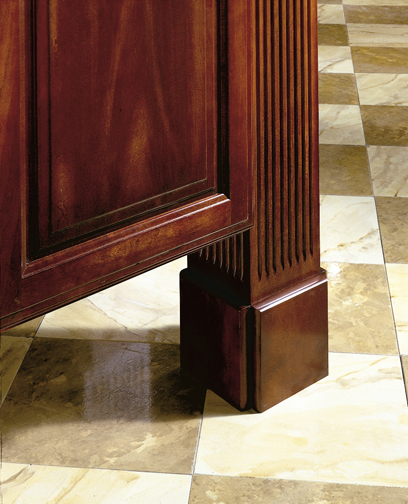 Pilasters are carved flat backed classic architectural elements that give the appearance of a supporting column. 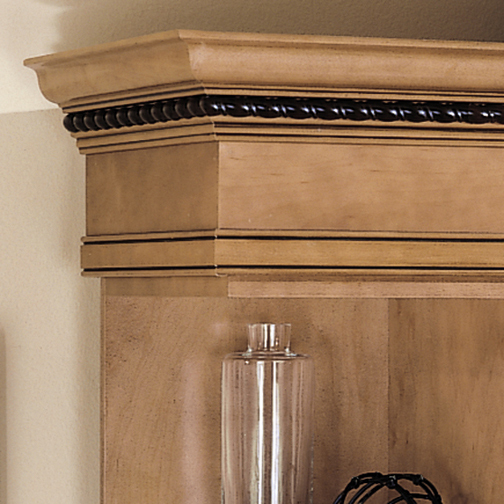 Usually treated as though it is a column, with a capital at the top and a plinth at the bottom. 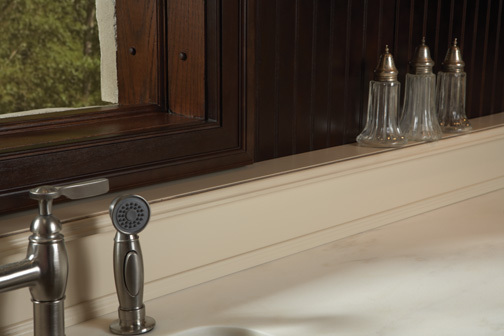 In addition to Wellborn’s own line of Fillers & Pilasters, Wellborn is pleased to partner with Art For Everyday and Designs of Distinction® by Brownwood to provide you with a vast array of embellishments to choose from. 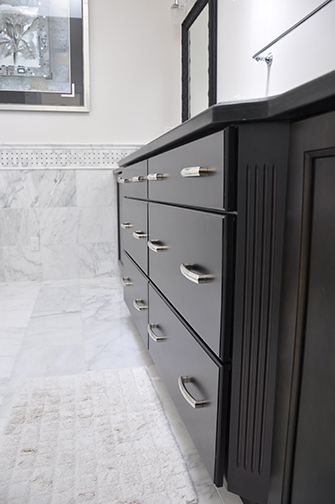 In the last 15 years, the Designs of Distinction® line has grown from 100 decorative elements to more than 3500 components, all available for immediate shipment. 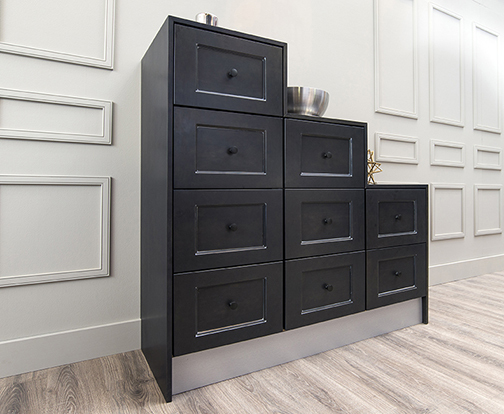 These components make up our 30 designer collections. Each collection evokes a certain mood. 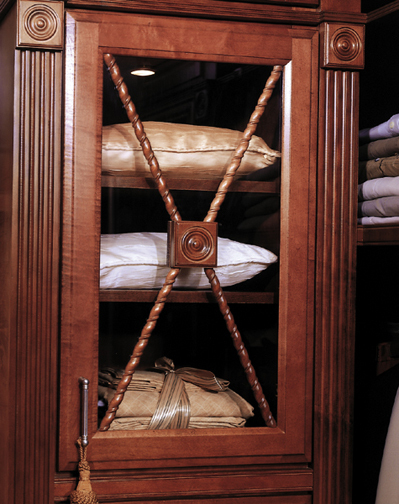 Warmth and hospitality are the highlights of some of our traditional collections including our English Estate and Classic Revival collections, while simple elegance is the key to the Arts and Crafts, Simplicity, and Shaker collections.